In retrospect, the Kargil war catalyzed the deepening security cooperation between the United States and India. It also galvanized a serious rethink in India about its domestic security apparatus, intelligence agencies’ capabilities, and overall military doctrine. Crucially, India learned from this conflict that limited war is indeed possible under the nuclear umbrella. In Oct. 2000, air commodore Jasjit Singh, who retired as the director of operations of India’s air force and headed India’s Institute for Defence Studies and Analyses until 2001, laid out the lineaments of an India’s limited war doctrine. However, no apparent effort was made to make this a viable military concept immediately and India persisted with its defensive posture. In late Dec. 2001, Pakistani terrorists from the Pakistan-backed military group Jaish-e-Mohammad attacked India’s parliament in New Delhi. In response, India’s government began the largest military mobilizationsince the 1971 war, which resulted in the liberation of Bangladesh, then East Pakistan. Just as the crisis was subsiding, another group of Pakistani terrorists, Lashkar-e-Taiba, attacked the wives and children of Indian military personnel in Kaluchak, Kashmir. India again seemed poised to take military action but ultimately backed down. The crisis was officially defused after India held elections in Kashmir later that fall. Pakistan concluded that its nuclear arsenal had successfully deterred India from attacking. As Walter Ladwig has written, analysts identified several problems with India’s posture during that crisis. First, the Indian army took a long time to mobilize which gave Pakistan time to internationalize the conflict and to bring international pressure to bare upon India. Second, the mobilization of India’s strike corps had no element of surprise. Even Pakistan’s modest surveillance capabilities could easily detect their movements, and given their “lumbering composition,” could quickly discern their destination. Third, according to Ladwig, India’s holding corps’ were forward deployed to the border but lacked offensive power and could only conduct limited offensive tasks. In response to these collective inadequacies, and the prospects of enduring threats from Pakistan, the Indian defense community began formalizing what came to be known as “Cold Start.” Ladwig, who wrote the first comprehensive account, claims that the doctrine aimed to pivot India away from its traditional defensive posture, and towards a more offensive one. It involved developing eight division-sized “integrated battle groups” that combined infantry, artillery, and armor which would be prepared to launch into Pakistani territory on short notice along several axes of advance. These groups would also be closely integrated with support from the navy and air force. With this force posture, India could quickly mobilize these battle groups and seize limited Pakistani territory before the international community could raise objections. India could then use this seized territory to force Pakistan into accepting the status quo in Kashmir. While Indians insist that this doctrine never existed, other analysts discount Indian demurrals and note slow—but steady—progress in developing these offensive capabilities. Irrespective of India’s protestations, Pakistanis take “Cold Start” to be a matter of Quranic fact. 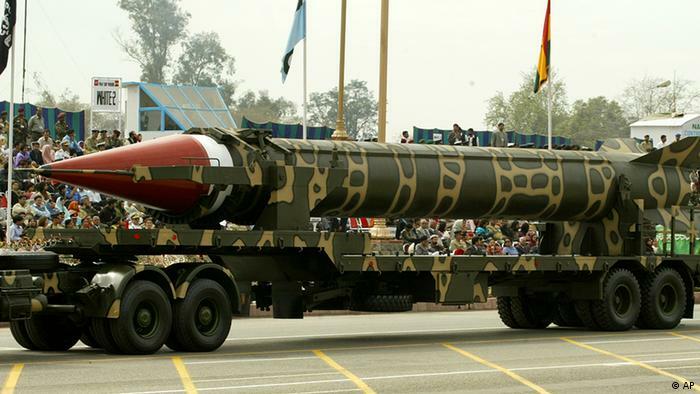 Pakistani military and civilians often boast of their fast growing arsenal of the world’s smallest nuclear weapons and routinely update the world on the progress of the short-range missile, the Nasr, that would deliver this ever-shrinking payload. Why should ordinary Pakistanis care? While Pakistanis overwhelmingly applaud their army’s continued efforts to harass India in pursuit of Kashmir—a territory that Pakistanwas never entitled to but fought three wars to acquire by force—there are numerous reasons why Pakistanis should be more sanguine, or evenalarmed by Pakistan’s development of tactical nuclear weapons. The first reality that should discomfit ordinary Pakistanis is that there is really no such thing as a “tactical nuclear weapon.” Even the smallest so-called tactical nuclear weapon will have strategic consequences. (Simply calling them “battlefield nuclear weapons” does not obviate this serious problem.) If Pakistan should use such weapons on India, there is virtually no chance that India will be left responding alone. The international community will most certainly rally around India. The response to Pakistan breaking a nuclear taboo that formed after the Americans used atomic bombs on Japan will most certainly be swift and devastating. Second, as Shashank Joshi, a war studies researcher at the University of Oxford, has argued, these weapons do not have the military benefits that Pakistan’s military boasts, yet they exacerbate the enormous command and control challenges, including the possibility that nefarious elements may pilfer them once they are forward deployed. For one thing, tactical nuclear weapons do not have significant battlefield effects on enemy targets. For another, it is not evident that these weapons are in fact capable of deterring an Indian incursion into Pakistan. Third, while Naeem Salik, a former director for arms control at Pakistan’s Strategic Plans Directorate, has said that Pakistan has shifted away from merely doctrinal thinking towards “actual nuclear war fighting,” such thinking is hardly viable for the simple reason of faulty math. Even if, for the sake of argument, one assumes that Pakistan deploys its one hundred odd weapons of 15 to 30 kilotons at India’s major cities, it is unlikely that Pakistan would be able to deploy all of these weapons to conduct a “splendid first strike,” by which Indian capabilities are completely destroyed. Moreover, it takes considerably fewer weapons of similar magnitude to utterly destroy Pakistan. Pakistan has thoughtfully concentrated all but three corps in central the Punjab region, which is also its most populous province and the country’s industrial and agricultural center. In short, Pakistan will cease to be a viable political entity while India, though grievously hurt, will survive as a state. Even if Pakistan obtains a functioning triad and retains launch capabilities from submarines, they will be launched in defense of a state that, simply put, no longer exists. He envisages the Nasr’s shells being used to carry atomic explosives that would annihilate advancing Indian armored thrusts in the southern deserts and blunt Indian advances toward major Pakistani cities, such as Lahore. Retired military general S. F. S. Lodhi, in the April 1999 issue of the Pakistan Defence Journal, laid out four stages of escalation in Pakistan’s use of tactical nuclear weapons which aligns with this view as well. The consequences of Pakistan nuking itself to keep the Indians out should disturb Pakistanis. According to calculations by Jaganath Sankaran, Pakistan would have to use a 30-kiloton weapon on its own soil, as this is the minimum required to render ineffective fifty percent of an armored unit. Using Lahore as an example, a 30-kiloton weapon used on the outskirts of the city could kill over 52,000 persons. As Indian troops move closer to Lahore and as the population increases, such a weapon could kill nearly 380,000. Sankaran notes, as an aside, that this would “genuinely destroy a larger battalion or brigade.” Consequently, many more Pakistanis would be likely to die than these horrendous figures suggest. All of sudden, Pakistan’s tactical nuclear weapons don’t look so fun for any Pakistani who thinks through the math. Fifth, Pakistanis should be derisive of this new weapon in the national arsenal because it cannot do what the army promises: protect Pakistan from an Indian offensive. Would any Indian military planner take seriously Pakistan’s threat to use nuclear weapons on its own soil when the casualties are so high? Pakistan may have been willing to eat grass to get its nuclear weapons, but is it willing destroy its own center of gravity to maintain its ability to harass India with terrorism over territory to which it never had any legal claim? If the Indians do not take this threat seriously, how is it a deterrent against them? What additional deterrent capability do these weapons afford Pakistan that its strategic assets do not that compensates for the enormous risks they convey? I am not encouraging a nuclear Armageddon upon Pakistan; rather expositing the limited utility that these weapons confer upon Pakistan. Even if Pakistan fully inducts these weapons in its arsenal, it still has an army that can’t win a conventional war against India and nuclear weapons it cannot use. This leaves only an industrial farm of terrorists as the only efficacious tool at its disposal. And given the logic of the above scenario, India and the international community should consider seriously calling Pakistan’s bluff. The only logical Pakistani response to a limited offensive incursion is to accept the fait accompli and acquiesce. So far, the West has seen Pakistan’s nuclear weapons as a proliferation threat rather than a security threat. The implications of this has largely been appeasement. The United States, worried that Pakistan’s weapons may fall into the hands of non-state actors or that Pakistan will once again reopen its nuclear weapons bazaar to aspirant nuclear powers, perpetually argues for engaging Pakistan diplomatically, militarily, politically, and financially. In essence, Pakistan has effectively blackmailed the United States and the international community for an array of assistance exploiting the collective fears of what may happen should Pakistan collapse. In recent months, some US White House officials have even argued for a potential nuclear deal to reward Pakistan for making concessions in fissile material production, limiting the development and deployment of its nuclear weapons among other activates to address Washington’s proliferation concerns. Unfortunately, Washington has yet to seriously formulate punishments rather than allurements to achieve these ends, even though Pakistan has shown no interest in making such concessions. There are reasons why the United States and the international community should begin to see Pakistan’s nuclear weapons as a direct security threat. For one thing, these nuclear weapons have always been intended to allow Pakistan to harass India through the use of militant proxies. Consequently, Pakistan has become an epicenter of Islamist terrorism. Had Pakistan not had these nuclear capabilities, India could have sorted out Pakistan some time ago. Moreover, the critical time period for Pakistan’s nuclear program was in the late 1970s, when Pakistan was on the threshold of obtaining a crude weapon. (We now know that Pakistan had a crude nuclear weapon by 1984 if not somewhat earlier.) The United States even sanctioned Pakistan in 1979 for advances in its program. Saudi Arabia matched America’s contributions. While al-Qaeda is not truly the direct descendent of the Afghan mujahedeen, there can be little doubt that the structures built to wage this jihad gave birth to the group. Had the United States remained focused on nuclear weapons in Pakistan, and used a different strategy in Afghanistan, a wholly different future could have been realized. As tensions between the United States and Pakistan deepen, and as Pakistan’s arsenal expands and permits it to target US assets in South, Central, and Southwest Asia, the United States should begin considering Pakistan’s proliferation of nuclear weapons and delivery vehicles as a direct threat to its security, rather than merely a proliferation problem to be managed.